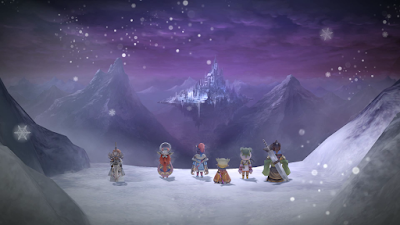 Square Enix confirmed that I Am Setsua will be a launch title for the Nintendo Switch. For more information check out our article HERE!!! 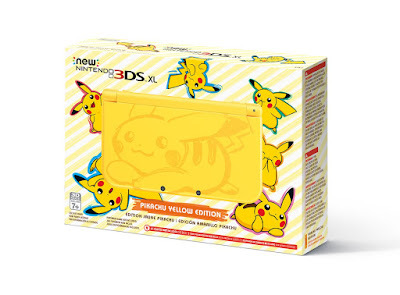 Nintendo announced a yellow Pikachu Edition New Nintendo 3DS to launch soon. For more information check out our article HERE!!! Square Enix released its much anticipated game Kingdom Hearts 2.8: The Final Prologue for the Sony PlayStation 4. We Review the newest section of the game Kingdom Hearts Birth By Sleep 0.2: A Fragmentary Passage. Check it out HERE!!! Disney: Star Wars: Rogue One earned over $1 Billion in the box office. "hitting $1 billion worldwide on its 39th day of release. It becomes the fourth Disney release of 2016 to reach this threshold and the 13th Disney release ever to do so." - Disney | On top of that we have received the subtitle for the upcoming Star Wars Film. It will be called Star Wars: The Last Jedi. | Disney has also been Nominated for 9 Oscars this year. To see the list of films Click HERE!!! Pokemon Bank is now compatible with Pokemon Sun and Pokemon Moon. New Android and iOS Pokemon Game is now Available called Pokemon Duel. CAPCOM releases Resident Evil 7 Biohazard for the PS4, Xbox One, and PC.